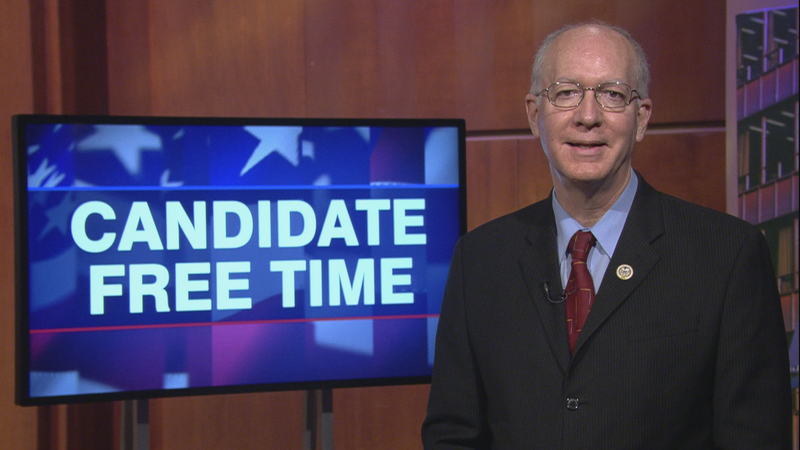 Video: Bill Foster tells voters about his platform. Learn more about Candidate Free Time. As the representative of the 11th District of Illinois, the most important part of my job is listening to constituents and representing their voices in Congress. That’s why my two top priorities are fighting for an economy that works for everyone and making sure health care is affordable and accessible. Just in the last two years, I attended over 230 events in the community and had over 70 individual meetings with constituents. Over the last year and a half, our office has returned over half a million dollars to constituents by partnering with congressional liaisons from various federal agencies to advocate for the needs of the constituents. I strongly support strengthening our health care system, including expanding medical treatment options for those suffering with opioid and heroin addiction. I have heard from many of my constituents about the need for affordable and accessible health care and the need to help our friends who struggle with opioid dependency. Thanks to the Affordable Care Act, millions of Americans now have access to health care, and health insurance companies can no longer deny coverage to individuals because of their pre-existing conditions. But I believe we should do more to make health care more affordable for everyone and keep drug prices low. We must invest in preventative care to reduce systemic costs associated with medical treatments. We also need to invest in detection and treatment options for chronic diseases, including Alzheimer’s and diabetes. We also need to expand treatment options for individuals who struggle with opioid dependency. I have introduced bipartisan legislation to help pregnant women who struggle with opioid dependency and their newborns get the treatment they need. I also introduced the Expanding Opportunities for Recovery Act, which would remove barriers to addiction treatment by providing grants for residential or in-patient opioid dependency treatment for qualified individuals. Hello, I’m Congressman Bill Foster, and it is my honor to represent the 11th District of Illinois in the Congress of the United States. As the only PhD scientist in Congress and a businessman, I bring a unique perspective to Washington. As a scientist, I worked for 23 years at Fermi National Accelerator Laboratory, performing experiments and solving some of the toughest challenges in science. As a businessman, I started a company in our basement with my brother when I was 19. And that company now manufactures over half of the theater lighting equipment in the U.S., and provides more than 1,000 good high-tech manufacturing jobs with good pay and good benefits. I first entered Congress in the depths of the financial collapse and was one of the original authors of the Dodd-Frank legislation that has ensured over 9 years of economic expansion and has prevented another crisis. We’ve made a lot of progress since then, but too many families and businesses are still struggling to get by. One of my top priorities in Congress has been to expand the economic recovery to all hardworking Americans. We also need to do more to make health care affordable and accessible. Since Congress passed the Affordable Care Act, millions of Americans now have access to health insurance. Insurance companies can no longer deny coverage for preexisting conditions, and children can stay on their parents’ plan until they turn 26. But Congress can do more to make it stronger, so that premiums don’t skyrocket and prescription drugs are affordable for everyone who needs them. The most important job I have is listening to you. Over the last two years, I’ve hosted town halls, held meetings with constituents, and attended events throughout the district so I can hear from you directly. I’ve heard your concerns about the Trump Administration’s harmful immigration policies and attempts to take health care away from millions of Americans. I’m asking for your vote to send me back to Washington so that we can have an economy that works for everyone.